If you're into tactical RPG's with cute characters that can explode the screen in violence then look no further, for your prayers have been answered with Disgaea 5: Alliance of Vengeance. 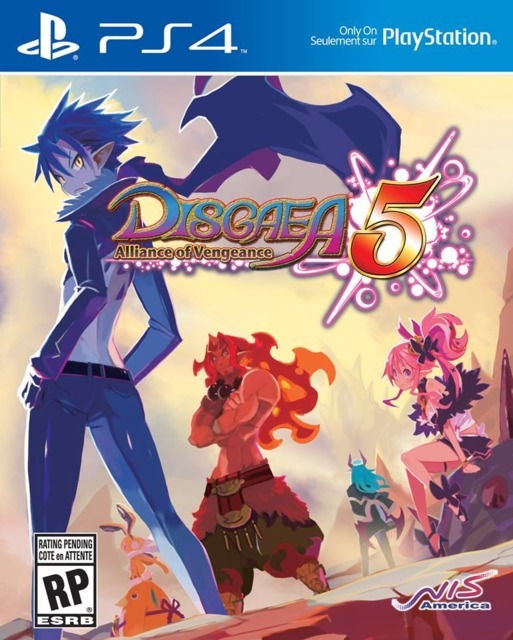 Disgaea 5 tells tale of that Killia, who seeks vengeance. On his journey he meets friends to join him in battle. Let's skip the story, unless you're into that sort of thing ,you'll want to experience on your own. I can say, "Meh, didn't float my boat." It's long and tedious. Gameplay isn't as it's been made simpler from earlier games to attack and take down foes with easy to understand orders and controls. The game shines in this department from the look of the game still trapped in 2D. This is really for the niche market of JRPG player who wants the latest and greatest JRPG with colorful anime characters and a ridiculous long-winded story. If you're that type of person, go get it, dood! Code provided by publisher for review purposes.